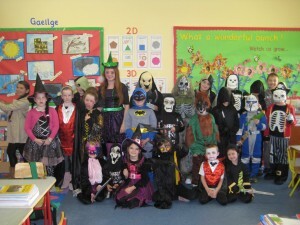 We had great fun dressing up for Halloween. Check out our scary costumes! 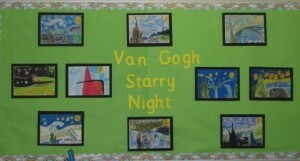 In art class this year and last year, we learned about Vincent Van Gogh and his famous art work. 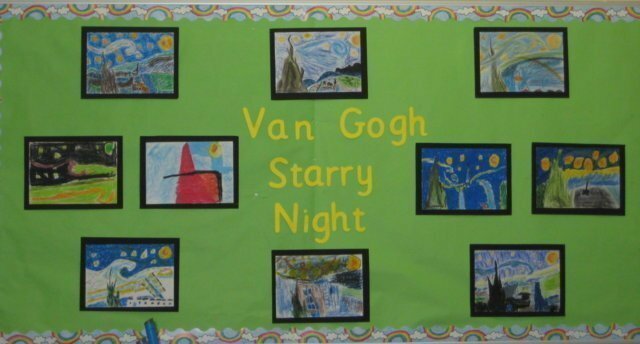 Last year we drew lovely pictures of his piece ‘Sunflowers’ and this year we drew lovely ‘Starry Night’ pictures. 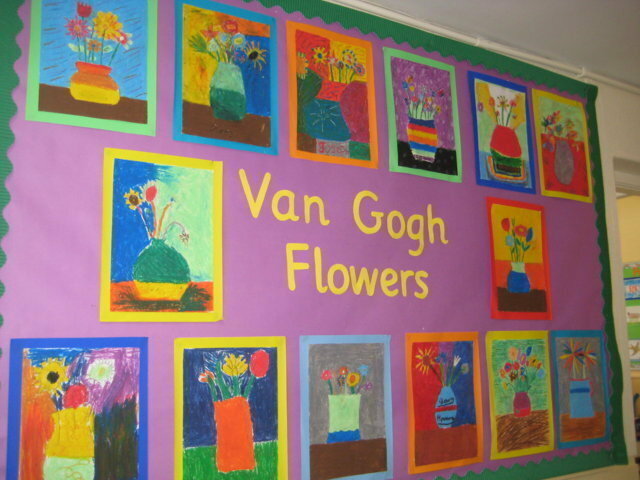 Our art work is proudly displayed on the school notice boards and in our classroom. 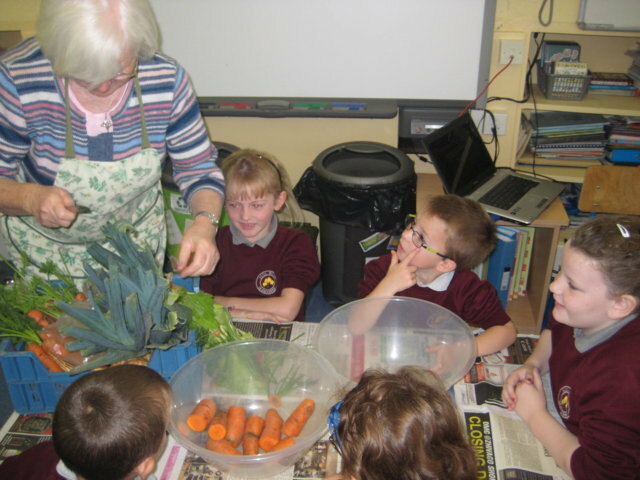 A woman called Maureen came to our school and gave us a talk about the environment and afterwards, we made some organic soup using a variety of vegetables. 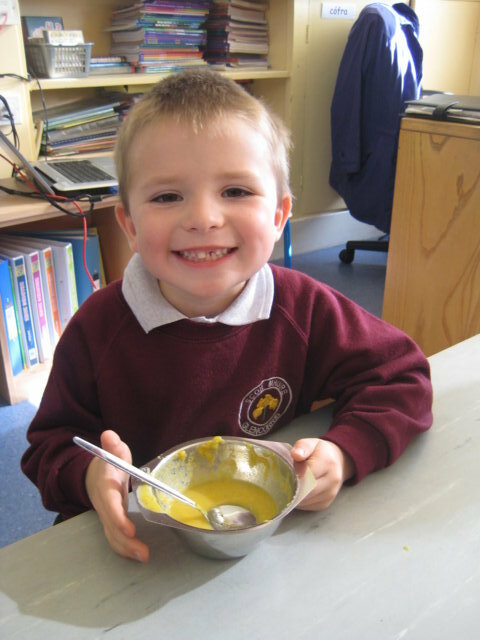 Everyone enjoyed it and wanted seconds! 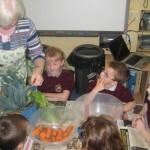 We learnt a lot about biodiversity and wildlife. 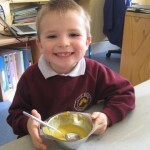 We also learned how soup is made and making the soup was great fun. A very special welcome to the 7 new students in our school this year: Kevin , Susanna, Jonathan, Luke, David, Matthew and Stephen. 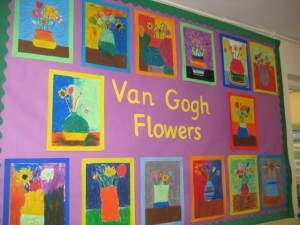 It is great to see all these new faces in our school. 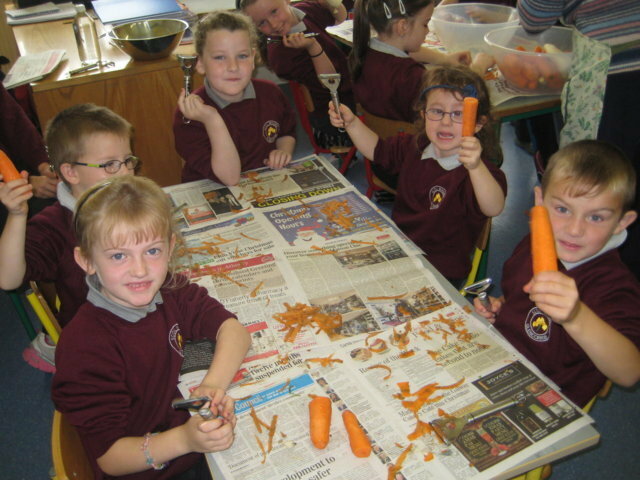 Each Tuesday for 3 weeks 3rd, 4th, 5th and 6th classes completed a fun cycle safety programme. The instructor’s name was Gerry and he showed us how to use hand signals effectively. He also demonstrated how to avoid obstacles on the road and much more. 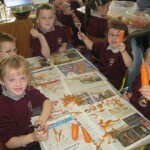 Each class enjoyed it and it improved our attitude towards road safety. 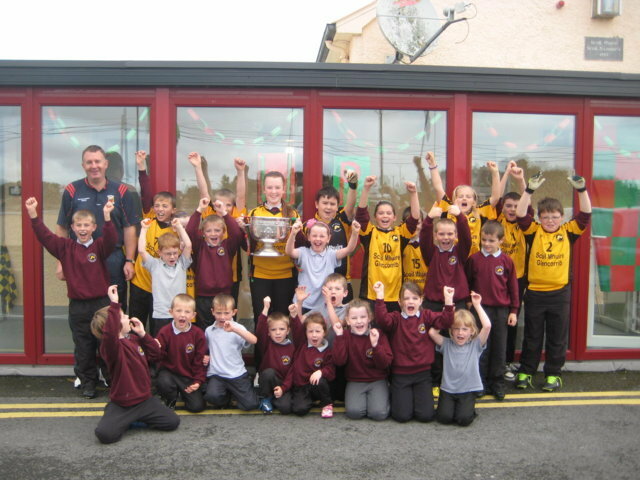 As you know, the Mayo minor football team won the Tom Markham Cup and we are lucky enough that our football coach is one of the team’s selectors. 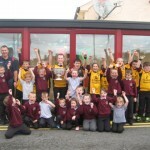 Martin Costello (our trainer) brought the cup to our school and we had great fun taking pictures and lifting it. Hopefully we’ll have the Sam McGuire next year!